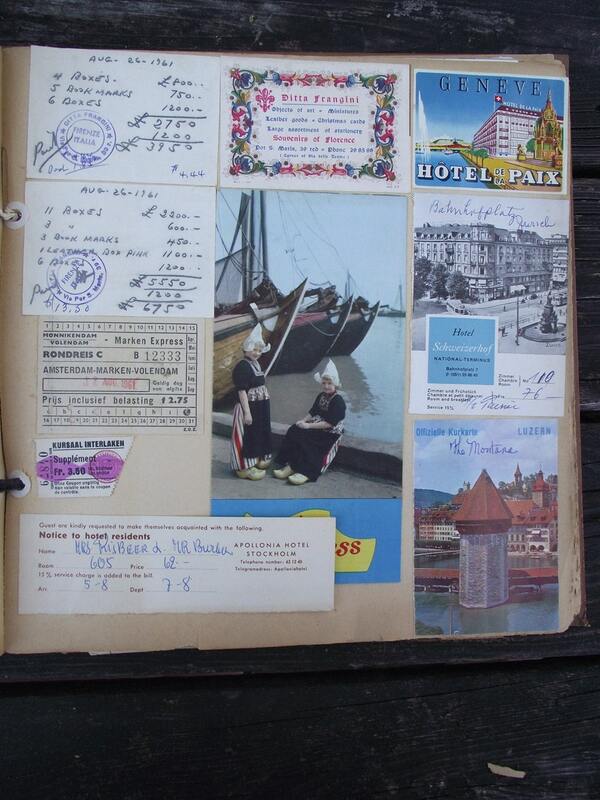 Great scrapbook of a European vacation circa 1961. 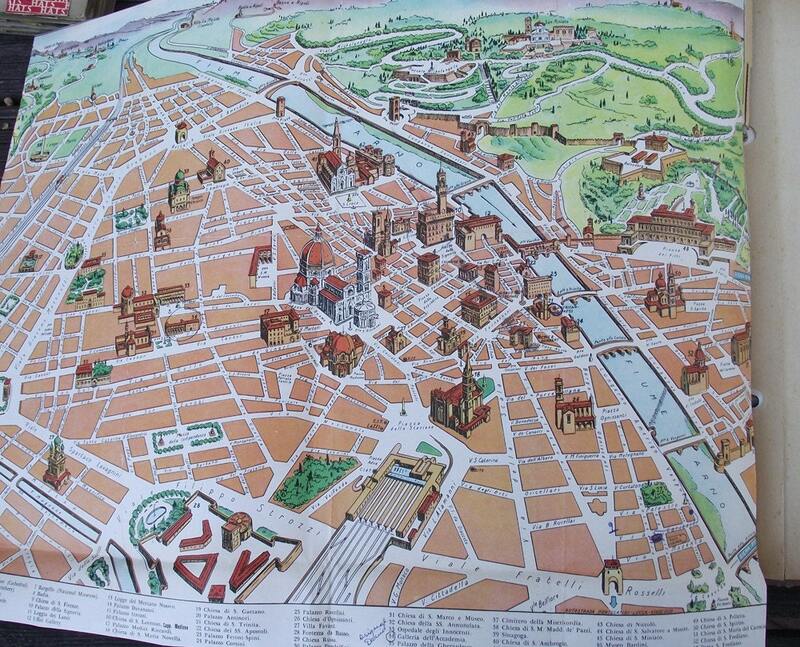 England, Scotland, Norway, Germany and more, Full of postcards, itinerary, baggage tags, maps, receipts, and much more. 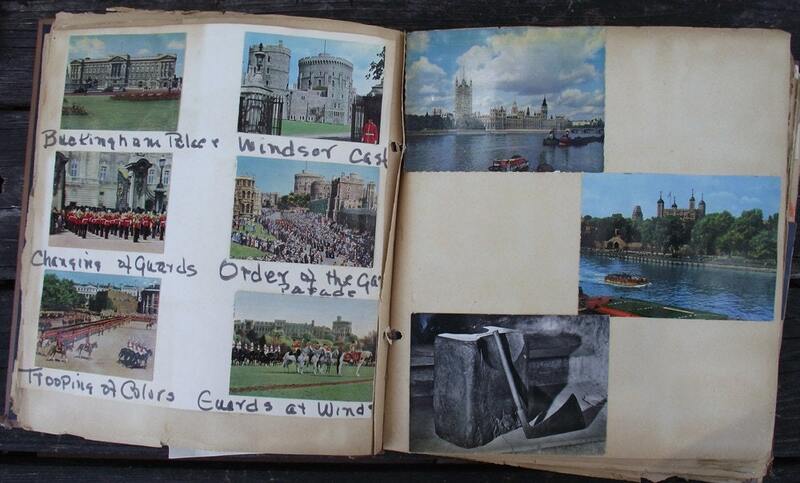 This scrapbook is full of past paper treasures.